A wondrous journey through all the captivating shades of Amethyst. Lavender, hyacinth and wisteria hues meander through this exquisite stone. This particular amethyst has very soft muted tones and brings to mind romance… candlelight, soft music and a tender caress. Fall in love all over again with Purple Twilight! Completely hand crafted in USA – These are not mass produced! 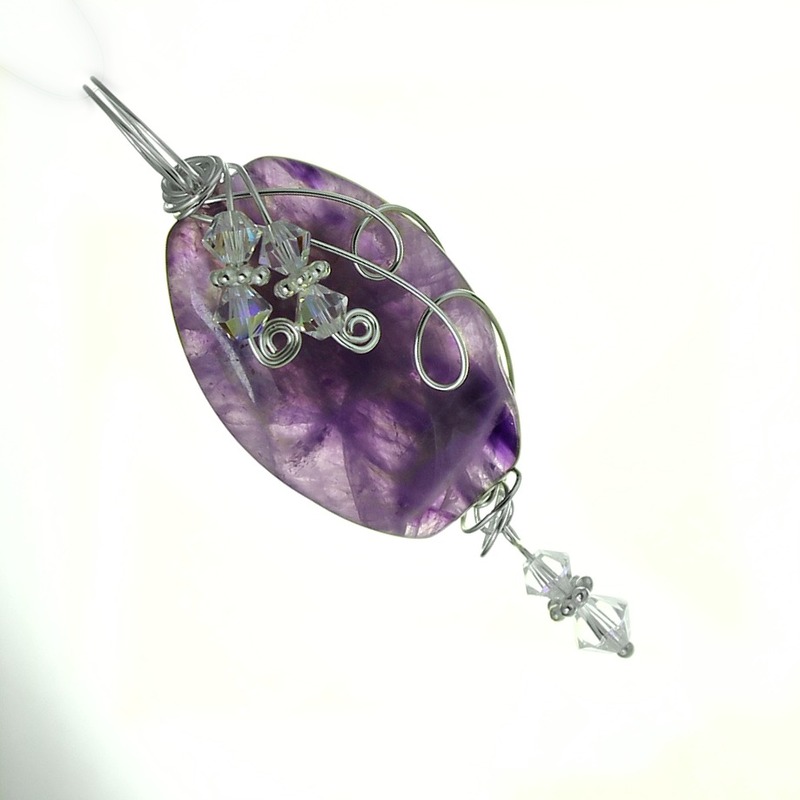 I hand wire wrap each stone or shell and finish each pendant with genuine Swarovski crystals for that touch of sparkle! Wrapped with non tarnish silver plated wire. Pendant measures 2 3/8″ total length.